Instant noodles are convenient, tasty, and… potentially dangerous? 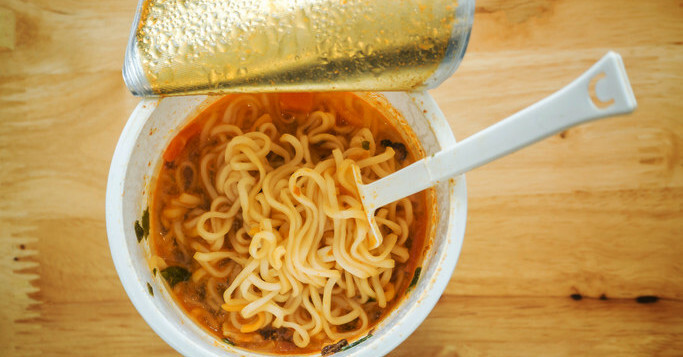 The sick day staple and college student favorite may provide warmth and comfort, but new research suggests that ramen and other instant soups and noodles may be risky for young kids. In fact, these microwavable noodle and soup products are responsible for one in five scald burns that send children to the emergency room every year, according to new research being presented at the 2018 American Academy of Pediatrics National Conference. “Scald burns are a major cause of preventable injury among children, and our research found that instant soup spills are responsible for a large number of these painful burns,” Dr. Courtney Allen, a pediatric emergency medicine fellow at Emory University, Atlanta, and the study’s author, said in a statement. In the study, Allen and her team examined National Electronic Injury Surveillance System data over a decade, from 2006 to 2016. They looked for children with scald burn injuries caused by either microwavable instant soup, instant noodles, cup of soup, or the hot water used for making noodles. The researchers found that the savory soup products are responsible for more than 9,500 burn injuries each year among children aged four to twelve. The most commonly burned part of the body was the torso, accounting for about 40% of injuries, followed by the lower extremities, such as the legs and feet, and then the upper extremities, including the arms and hands. The average age of children who suffered instant soup-spill injuries was 7, and about 57% of children who were burned were female. Scald burns are a type of thermal burn — which occur when a person makes contact with a heated object — caused by something wet, such as hot liquids or steam (as opposed to dry heat from an iron, for example). Scalds are the most common type of burn injury in the US, and children under five and senior adults over 65 are at highest risk, according to the Burn Institute. Hot liquids can cause first-, second-, or third-degree scald burns depending on the temperature of the liquid and the length of exposure. Water boils at 212 degrees Fahrenheit — but it doesn’t have to be nearly that hot to cause serious damage. Once water reaches 155 degrees Fahrenheit, it can cause a third-degree (full thickness) burn in only 1 second. Scald burns can cause swelling, blistering, tissue damage, scarring, and in serious cases, shock or death. However, none of the injuries from noodle and soup products analyzed in this study resulted in fatalities, and 90% of the children were treated and released in one visit. The research did not include information about how exactly these injuries happened, but it seems likely that they occurred when children removed the heated soup products from the microwave and accidentally spilled or dropped them. Preparing instant noodles or microwaveable soups may be less risky than cooking on a stovetop, and they are relatively simple to use — in most cases it’s literally just adding water and heating in a microwave. However, that doesn’t mean they’re safe for children to prepare on their own. Even if the cup or bowl is designed to be safe for handling after the contents are heated, the hot or boiling liquid can cause a serious burn with one wrong step or loose grip. “Caregivers need to closely supervise younger children who might otherwise get hurt if cooking for themselves,” Allen said in the release. Additionally, the researchers suggested that the food industry consider making changes to the packaging so it’s more difficult for microwaveable cups and bowls to tip over onto children. Most minor scald burns can be treated at home, so it’s important for parents to know some basic first aid. If you or your child experiences a scald burn, remove any clothing or jewelry from the burned area, run the skin under cool (not cold) water or apply a cool compress, and carefully bandage the area. If the skin becomes dark red or blisters form, or you are concerned for any reason, call your doctor or seek medical attention.